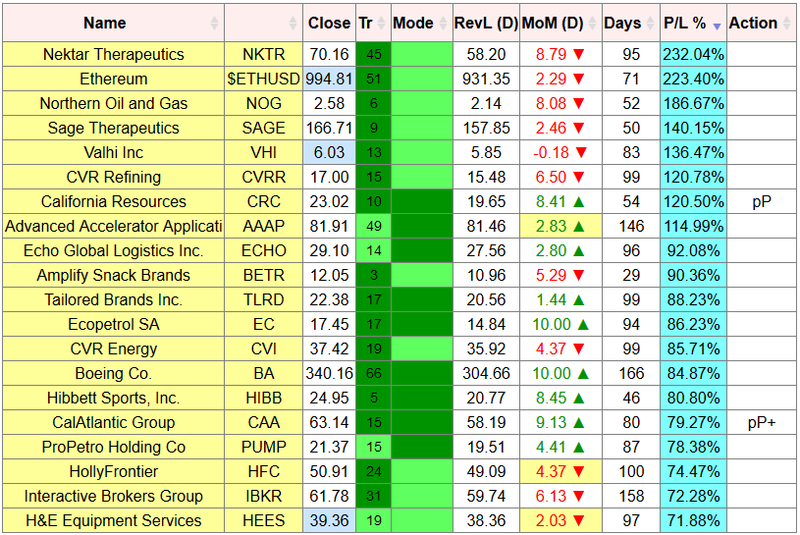 In December Nektar Therapeutics NKTR was our best performer. This stock has added to gains and kept into the lead. The Buy signal was given on 1st September when NKTR could be picked up at $21.13. It now trades at $70.16 for a 232% gain in 95 days. Ethereum ETHUSD stays in second place with a 223% gain in 71 days. Crypto-currencies have been hot and reversal levels do not miss such moves. Northern Oil and Gas NOG is the new third with a 186% gain in 52 days. Those moves are not finished, stocks are held until their next Sell signal (or Buy signal for a short position). 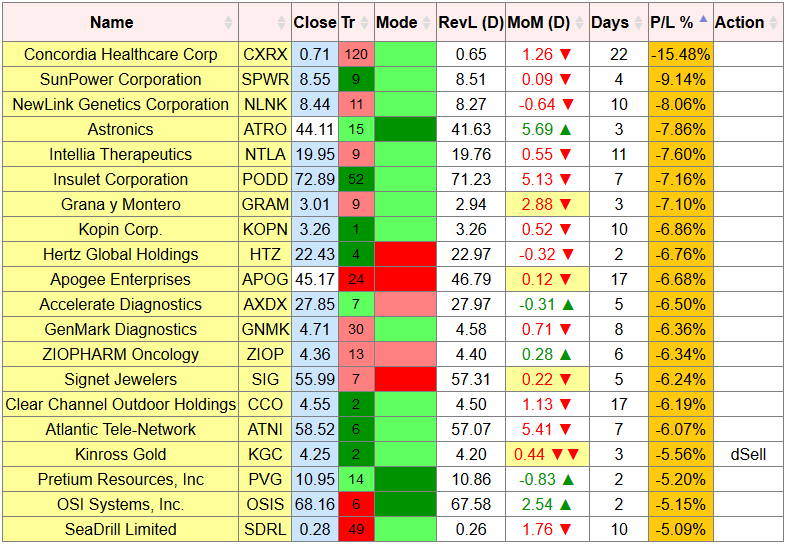 The current worst trades are long CXRX (-15.5%), followed by long SPWR (-9%) and long NLNK (-8%). Always trying to keep losses small.